Focal length, f-number, f-stops — are you set for a little physics on the part of the art called photography? As much as photography is about capturing the shots with an artist’s eye, it is equally about understanding the science applied in the creation of a photograph. At a preliminary stage, we hold the camera in the hand and learn to see through the camera’s eye. As we spend more and more time with this awesome machinery (the shot-gun), we tend to learn more about photography like how does the camera work, the essence of drawing with light and the physics of photography. In the later realm, i.e., the physics of photography, we discover some of the very powerful basics of photography — the focal length, f-numbers and f-stops. This is what I will demystify in today’s post — the meaning of these mysterious numerals that are almost always found inscribed on the lens barrel of a camera lens. Theoretically speaking, the focal length of a lens is the distance from the rear element (the glass at the back of the lens) and the point where the light is brought to a focus by the lens, on the camera’s sensor. The whole idea of having a lens in the camera, you will appreciate, is to project a focused image onto the sensor. In a true long-focus lens of 200 mm focal length, for instance, this distance will always be 200 mm, necessitating a longer lens barrel. This longer focus has the effect of pulling the subject closer. In other words, magnifying it! But this is dependent on the size of the film or the sensor. An 80mm lens is a short telephoto lens for a camera with an APS-C size sensor, but it is a normal lens for a Hasselblad camera with a larger sensor. 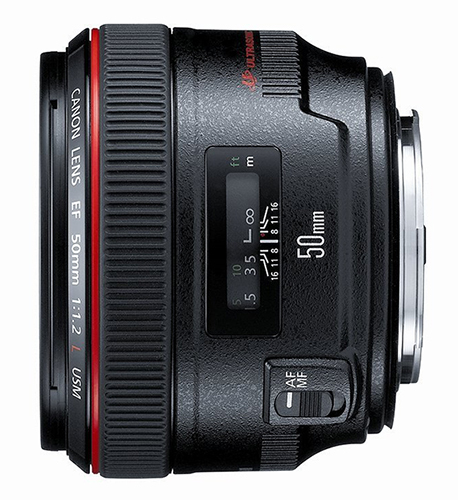 In a normal lens of 50 mm focal length for your full frame DSLR camera, this distance will be found to be 50 mm. Incidentally, this lens is called a normal lens not because other lenses are abnormal, but because the size of the images given by it corresponds to the size of the subject as normally perceived by the naked eye. In other words, the image does not look either reduced or magnified in size (as in the case of telephoto or macro lenses). Many photographers choose to call it the Standard lens. A telephoto lens, to be exact, is an optically corrected, but physically shorter (i.e., no longer a true long-focus) lens that ensures that the light comes to a focus at the sensor plane. And zoom lens is the one that covers a range of focal lengths for zooming in (getting close) and zooming out (getting away) from the scene. Here’s the secret of the hieroglyphics — the f-numbers engraved on the lens barrel merely indicate the maximum size of the aperture, i.e., the opening allowing the light to squeeze through to get to the sensor after the shutter has been activated. The maximum aperture is merely a mathematical expression derived from dividing the focal length by the actual, measurable diameter of the front element of the lens. Try it! Measure the diameter of the front element carefully with a scale. Now divide the focal length of the lens with that number… say, 50 (mm) ÷ 25mm. The answer is 2 and so the f-number or ‘speed’ of the lens is f. 1 : 2 or f 1/2. Voilà! The mystery of the f-number demystified! Try this — measure the diameter of the front element of the 50 mm f.1.4 normal lens on your fine SLR camera and divide the focal length (50) by it; the answer will always come to be 1.4, which confirms that the diameter of the front element is 50 (focal length) divided by 1.4 = 35.71 mm. This is a f 1 : 1.4 lens – a very fast lens, called fast because it lets in more light and hence allows very short shutter speeds to be used. 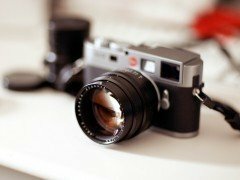 A 50mm f.1:1.2 lens is even faster. Actually, the f-number is always expressed (quite correctly) as a ratio, so you will find it inscribed on all but the most basic lenses. The size of the front element usually determines the speed of the lens. 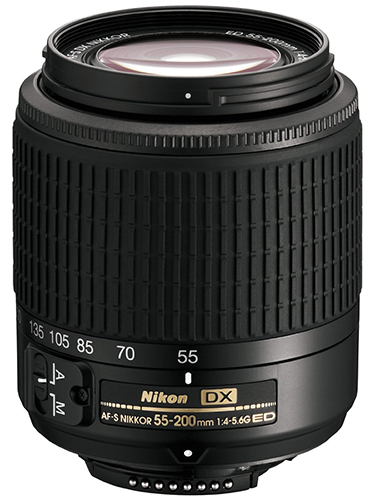 That is why the front element of the new Nikon 800mm f 1:5.6 (below) is so massive. This also explains why superfast tele-lenses, mostly used for sports or wildlife photography look like bazookas. 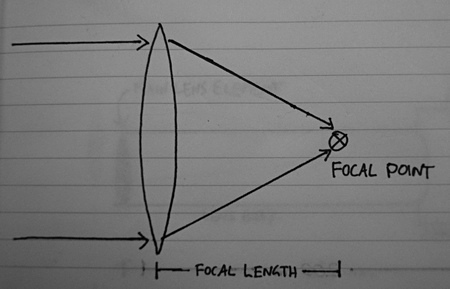 The logic of the f-number — the front lens element relationship is simple — the wider the aperture (here, the front end of the glass where the light enters the camera), the greater is the amount of light reaching the sensor. It’s no wonder that professionals, who often have to get sharp pictures in poor light, need fast super tele-lenses. These lenses give them as much access to light as possible (and incidentally, enable the fastest shutter-speed possible under the dimly-lit conditions of indoor sports). They usually don’t need much depth of field for a carefully focused news picture in poor light. If they do need more DOF, they are in trouble. There is no way they can use an aperture of, say, f.8, (giving reasonable DOF, especially with a 500 mm lens and a subject at medium distance), the low shutter-speeds then become obligatory for obtaining a properly exposed image; which will mean the subject, if moving, is going to be badly (probably unrecognizably) blurred. The solution to this issue is presented at the end of this article (hint: a zoom lens with variable f-numbers). By the virtue of the design compulsions in producing fast lenses, a lot of optical ‘corrections’ are necessary; optical aberrations are unavoidably inherent in designing such lenses. This necessitates many elements inside the lens, busily canceling out each other’s errors. The faster the lens, the bulkier, heavier, and costlier it inevitably is. In years to come, better, more efficient glasses will be made. Moreover, computer programs and CAD / CAM techniques are constantly improving, so cost and size of lenses are gradually coming down. Yet, an f.1:1.2 lens will always be much more expensive than an F.1:1.8 lens, so if the 1.8 is more than adequate for your needs, it may not be wise to spend more for a 1.2 which will tire you (I mean it, these lenses are heavy), as well as burn a hole in your pocket. In fact, super-fast lenses are designed in such a way that their best performance (in terms of image quality) comes in at the wider apertures. The whole purpose of buying a fast lens is to use it in poor light or wide open, to get faster shutter speeds, isn’t it? Obviously, the f.1.2, f.2, and f.2.8 aperture settings are going to be used a lot of the time, so the performance at these apertures have to be very good. What Are F-stops and why do we call them “F-stops”? The term stops has come to acquire the meaning of one exposure value, or ‘EV’; where each added stop means a factor of two and each subtracted stop means a factor of one-half. Let us take a simple example to understand the stops. If at 1/125th of a second, you go from f.4 to f.5.6, you have stopped down one stop. This is to say that as the aperture is reduced from f/4 to f/5.6, that is, the aperture is adjusted from lower f-number to the higher f-number in the series sequentially, the exposure value is stopped down by 1EV, thus the term f-stop. But if you keep the aperture at f.4, and increase the shutter speed to 1/250th of a second, you will again manage to shift the exposure equation one stop! In other words, adjusting either aperture or shutter speed is expressed informally in terms of stops. Hence, going from f.4 to f.5.6 is equivalent to going from say, 1/125th of a second shutter speed to 1/250th… both of which register the effect that a smaller aperture (more depth of field) or a faster shutter speed (better ability to freeze action, or less visible effects of camera shake) would have on the image. As this is getting interesting, let’s include one more section here — about variable f-numbers. I wonder if you’ve noticed that sometimes the aperture is marked as f.1: 3.5~5.6, say on a 18~300 mm telezoom lens? That little squiggle (~) signifies that the maximum aperture, like the focal length, is variable in actual use, i.e., it varies with the focal length as the zoom lens is zoomed in or out. It will be a true f.1: 3.5 lens at the shorter focal length (here, 18 mm), but as the zoom is zoomed out, the working aperture will measure out at f.5.6. Intermediate zoom settings will effectively yield intermediate f-numbers. This is perfectly understandable when we realize that the diameter of the front element remains constant! If the lens remained at f. 3.5 throughout the entire zoom range, it would be very large, heavy and expensive. This is true for all constant aperture zoom lenses. The two f-numbers mean that the zoom is f/3.5 at the shorter focal length setting, but gradually shifts to f/5.6 as you zoom out to the maximum focal length. To reiterate, this happens because the size of the front element stays constant, as explained earlier. This also means that as the lens zooms out to 300 mm, the shutter-speed falls by over a stop (all else remaining constant). If you are setting, say 1/500th of a second from the TTL meter at f/4, the reading will slip to around 1/250th of a second at the 300 mm (f 5.6) zoom setting, provided the intensity of the light and all else remains the same. Nowadays, computerized flashguns and through the lens flash (TTL flash metering) / TTL auto exposure automatically compensate for the reduced effective aperture, so that we can safely ignore all this; the exposure itself doesn’t suffer! Remember, each adjacent setting of either aperture or shutter-speed means a difference of one stop, i.e., one notch of aperture or shutter speed. Ditto for ISO sensitivity settings, as visible on the LCD monitor on viewfinder. This is how the exposure triangle works. And finally, if the minimum aperture (of, say, f.3.5) still does not allow a shutter speed high (fast) enough to stop the action in the low light, you can always increase the ISO setting… the third variable of the exposure equation. In all shooting situations, therefore, the fast lens will always prove more handy than a slow lens.